ISBN 101 For Self-Publishers including whether you need an ISBN, the “free” ISBN and the many uses of this unique identifier. 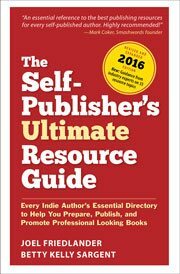 Top 10 Things Self-Publishers Don’t Need to Do, since as indie authors and indie publishers, they can control their own book publishing plan. They can forgo parts of book publishing convention that don’t fit their goals.